The Welcome Page options control which elements are shown on the Welcome Page. 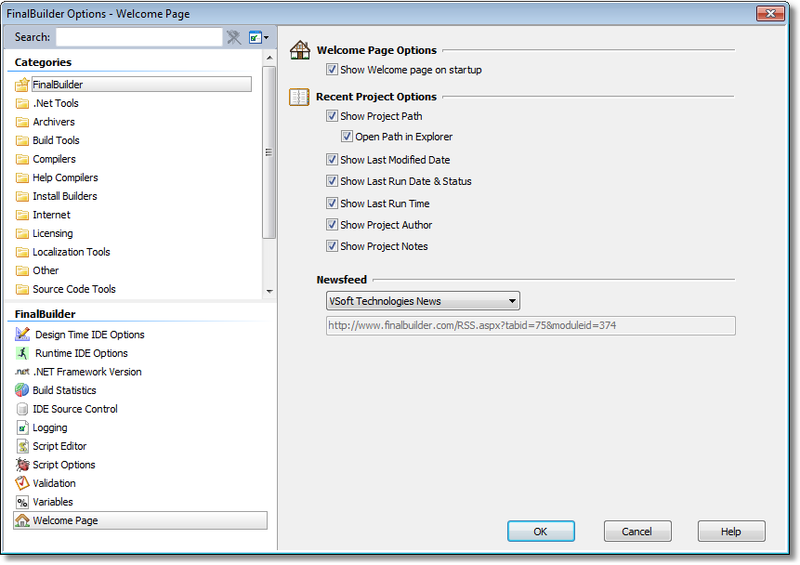 Sets whether the Welcome tab is selected when FinalBuilder is launched. If not selected, the Design & Debug tab is selected instead. Controls which is information is shown in the Recent Projects pane of the Welcome Page. Turning off some options allows more recent projects to be listed without having to scroll. Controls which RSS feed is displayed. You can choose "custom" to add any RSS feed at all, or to turn off the newsfeed.